1 What is (definition) encephalomalacia? 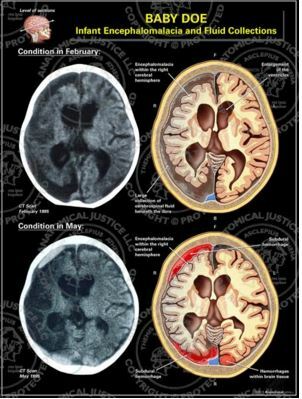 Encephalomalacia is a serious brain damage that occurs after a severe brain injury. In this condition brain tissue mainly parenchyma become soften and liquid. Encephalomalacia is the outcome of parenchyma tissue necrosis causes softening and liquefactive of the part of brain. This effect may happen at one part of the brain and then extends into adjacent tissues. Brain is the major controlling organ of all the physiological activities. Depending upon the affected part of the brain, the physiological malfunctioning of the linked organ also arises. This can happened in any age, but mortality rate is high in infants. The symptoms and severity depends upon the part of brain tissues affected and how much intense the effect is. Another important consideration regarding the severity is age factor. Glial cells and axon comprises the white matter of the brain. In leukoencephalomalacia, white matter gets affected and disrupts the nerve signal transmission from last part of the cerebrum to another region and also signals transmission in between the cerebrum and the lower brain centers get disturbed. The gray matter of the brain is made by nerve cells. In polioencaphalomalacia, gray matter is affected and the outcome weakens the sensitivity, impaired cognitive health and speech difficulty. The affected individual can have multiple dysfunctions or the functional abnormalities ranges from mild to severe depending upon the seriousness of the effect and progression of the condition. The degree of malfunctioning also depends on concerned part of the brain. In case the frontal lobe of the brain is affected, then the mental health related disorder such as dementia, loss of memory and frequent mood swing are the additional symptoms for encephalomalacia. Cerebral infarction occurs after brain haemorrhage; as the blood supply in the brain tissues is hampered and lack of oxygen supply often causes brain tissue necrosis. Craniocerebral trauma: in this condition normal functioning of brain is interrupted due to shock in the brain tissues. All the above mentioned conditions cause indistinct cortical borders and reduced stability of brain tissues. Yet now no curative treatment is available for encephalomalacia. The soften tissues do not get their previous shape and for that reason their functionality do not become normalised. However, medical science are tried to invent the possible treatment for restoring the normal shape and functionally of the affected part. 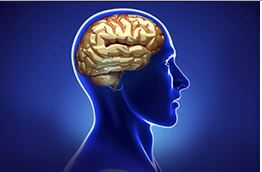 In present situation, doctors give their effort to identify the underlying cause of the tissue softening and necrosis of brain tissues and control the underlying cause. This is the way to restrict the progression of the disease and to control the spreading to other parts of the brain. For the detection and diagnosis purpose, doctors often take the help from the images obtained from MRI (magnetic resonance imaging) and CT (computer tomography) scan. In severe cases, doctors usually conduct surgical sectioning of the affected part and they suggest doing so because other parts of the brain may not be affected for the progression of the disease. Surgery cannot reverse the deteriorated condition. Encephalomalacia is brutal cerebral disorders which can lead to severe brain damage and functioning of normal physiology is hampered. The result of the prognosis is not fair enough for infants who have congenital Cerebral Softening. Most of the reported case result is mortality of the child. Aged patient is not also fully revived from the affect of the encephalomalacia, though their live become save. Surgical removal of the affected part often result neurological dearth and patients report different neurological disorders. Early detection, follow up work out and proper controlling measures is essential for management of encephalomalacia. The outcome of the treatment is unable to provide the complete restoration from encephalomalacia. But comparatively adult prognosis is better than the infants. The mortality rate is less and also progression of the disease is controlled by surgical procedures.